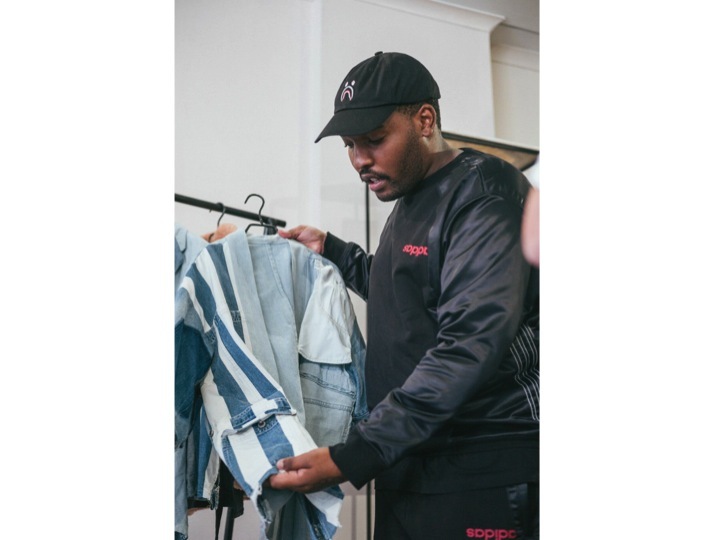 We linked with Xzavier Zulu of S’artists, to find out more about his upcoming #asitseamsEVERYTHINGISASAMPLE exhibition, and partnership, with Levi’s South Africa. What does the partnership with Levi’s entail? Over the years, I’ve looked to grow my understanding of Levi’s denim as it continued to form part of my everyday wear, but also as it became the most accessible fabric to me - and more so canvas, as a choice to share my voice, ideals and foster a new skill within the fashion industry. Levi’s have looked to partner with me on an the #asitseamsEVERYTHINGISASAMPLE exhibition - including a podcast series, zine, limited release, etc.- that rings true to my co-operative design ethos, with a concise unisex capsule collection that features reimagined tote bags, bucket hats, crew neck sweaters, crew neck t-shirts, tactical vests, pleated trousers and double-breasted suits. 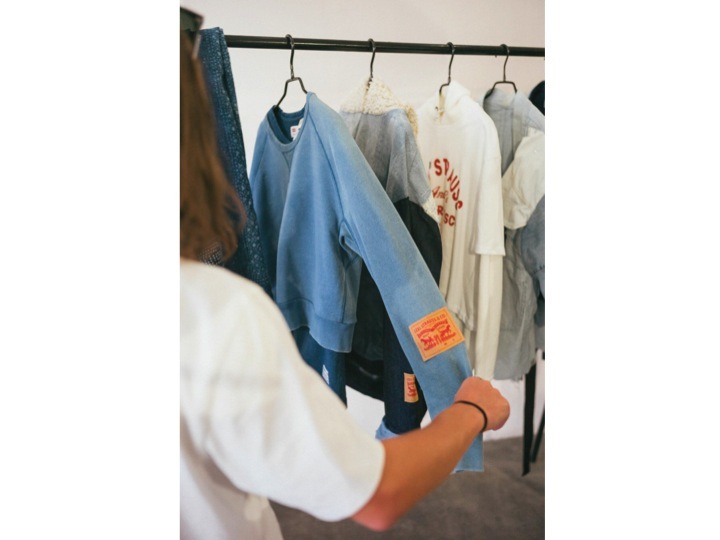 The collection is an ode to my late father, and expresses a shared love of denim, utilitarian wear, and challenges traditional retail pillars with re-imagined ideals. #asitseamsEVERYTHINGISASAMPLE as a continuing and ever-evolving title, plays off the idea that I am still in my sampling phase(s), and so I am essentially sharing my initial and evolved thoughts with an audience. In a simple sense, I’m inspired by not having. Inaccessibility. Well, as an accompanying factor: sustainability. My greatest single introduction to Levi’s denim was thrifting, as I quite simply couldn’t afford Levi’s at retail prices, and so thrifting gave me the opportunity to learn and live in Levi’s at a fraction of the price. What also came from this was learning how to sew - as I had to patch some jeans that I’d bought, and learn how to play around with fits, as I didn’t quite always find the size I’d hoped for but would love a shade of indigo, the cut, etc. There isn’t any sizing format for the pieces, why? Sizing today is challenged by fit. It’s that simple. When you look at your very own closet, how often have you bought garments that are true to your size and could be attributed to the growing ‘oversized’ trend? In that then lies challenges to the convention of retail production and consumer consumption. What most people don’t look at - and understandably as a consumer- is the very cost of the average size curve. It creates risk for any business to have too much or too little of any one particular size. And so coupling my own commercial retail experience and everyday ‘Hypebeast-filled trend analysis’, I’ve instead looked to pilot the ideal of having no size curve at all, and opting for a one size fits most (OSFM) approach to limit all risk of producing full size runs. Instead, I look to encourage my potential and desired consumer(s) to buy for fit/styling, as I believe and see that to be what’s best for my idea to exist beyond the sampling phase, and truthfully creating a point of difference in the retail environment. 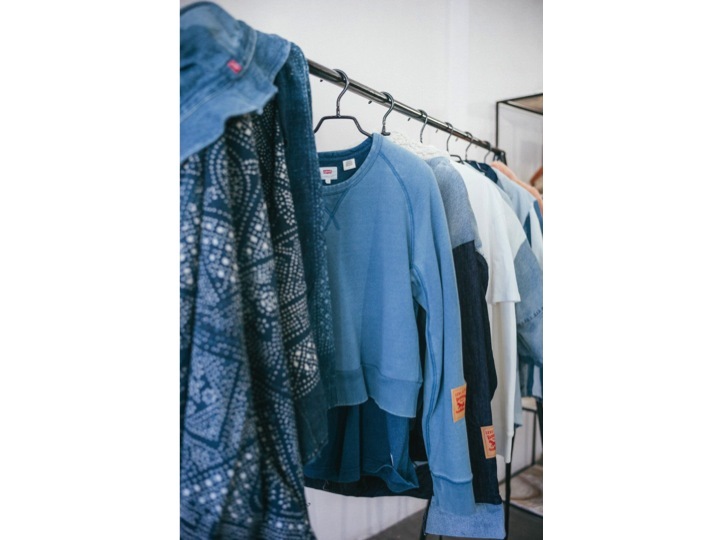 You can find Xzavier’s most recent capsule in concept store Selfi, Cape Town.